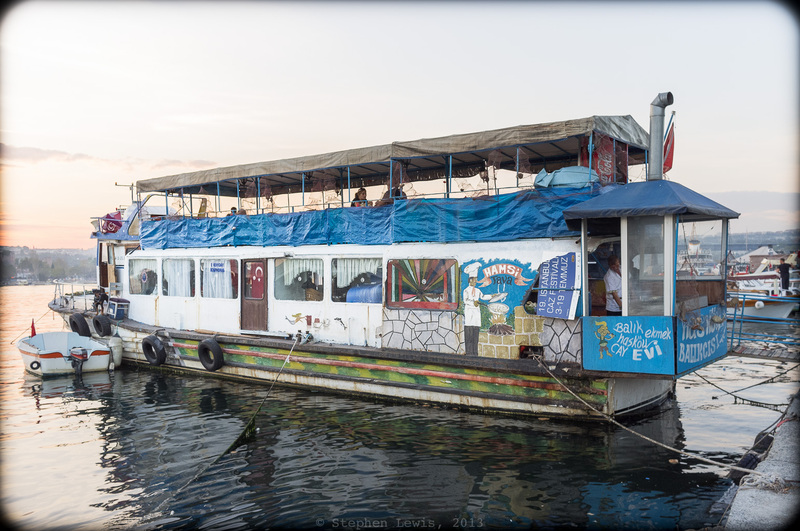 An one-time small urban ferry converted to a fish sandwich and fried anchovy (hamsi) restaurant, moored on the shore of the Golden Horn, Hasköy, Istanbul, 2013. Note the kitchen and its jaunty chimney perched precariously in an after-fitted poop-deck. (Fuji X100) Click to enlarge. The concept, it turns out, comes from the works of economist Albert 0. Hirschman. There has been a recent revival of interests in Hirschman’s life, professional accomplishments, and thought. The publication earlier this year of a biography of Hirschman brought in its wake articles and reviews in the New York Review of Books, the New Yorker, and the New York Times. The course of Hirschman’s life — childhood in Berlin, anti-Nazi activist, volunteer in the Spanish Civil War, smuggler of Jewish refugees out of Vichy France, victim of the McCarthy era in the US, specialist in international development, resident scholar at Princeton — is as fascinating as his economics, the latter a non-ideological pragmatism, literary rather than econometric in method, that side-steps master plans to find opportunities in seeming negativities and value in seeming dysfunctions. Declining housing (and commercial) stock provides shelter for those on the way up and those on the way down. It enables the solvency of those who do heavy-lifting and work at the edges of economies, those very people without whom neither industrial not service economies can function. It provides affordable locales for cultural renewal and technological innovation. It provides space for new sectors and enables older sectors — and the employment they provide and skills they preserve — to survive. It contributes to the social interaction and proximity to others who are different than one’s self that is central to democracy. For generations, the agglomerations of flexible, high value-added, small enterprises that grew around the entrepot functions of cities such as New York had been dependent on re-purposed inexpensive physical plant. Apropos of the recent protests in Istanbul, as treated in a number of past posts below, opportunities for incremental reuse contribute far more to social and political cohesion than do the seizing of public space and the razing of viable structures and neighborhoods to make way for massive development projects driven by political cronyism and the financial self-interests of investors and design-driven megalomania of architects. As we see from the photo above, ample supplies of underutilized urban coastline also contribute to the mix of seeming negatives that Hirschman would encourage looking at afresh — likewise with ample supplies of declining boat stock! Last, for a few words on the negative impact of sudden “upscaling” of a a viable and creative neighborhood many of the strengths of which was rooted in its state of perpetual decline, click here for a piece I wrote some years ago mourning the closing of the old Reliable’s Cafeteria and its upscale sister, Copeland’s Restaurant, on West 145th St. in New York City’s Harlem.